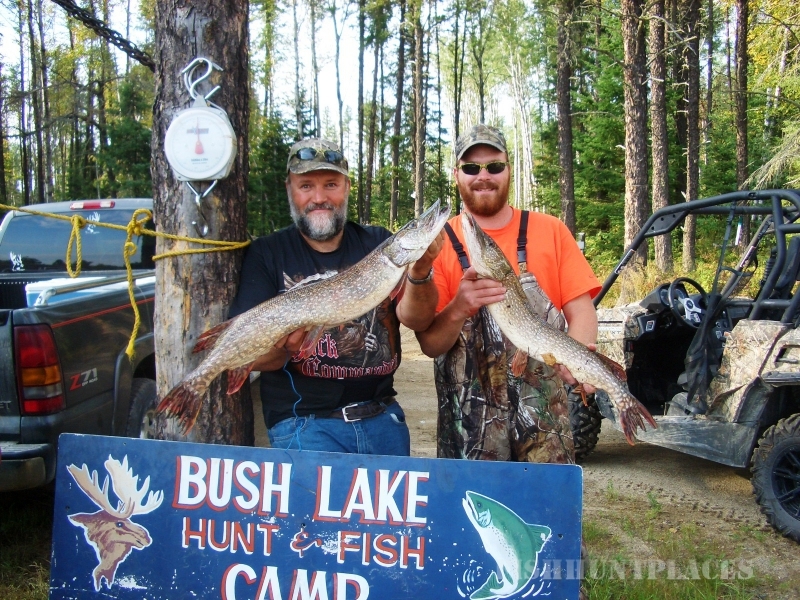 The Bush Lake Resort offers excellent fishing for trophy Northerns. With over 60 lakes in our immediate area, the fishing opportunities are endless. There is crystal clear Paint Lake which offers excellent Lake Trout, Walleye and Northern fishing where we have a private boat launch . From Paint Lake you can boat up to Expantion Lake and the beautiful Sturgeon River waterway for 15 miles to Twin Falls. 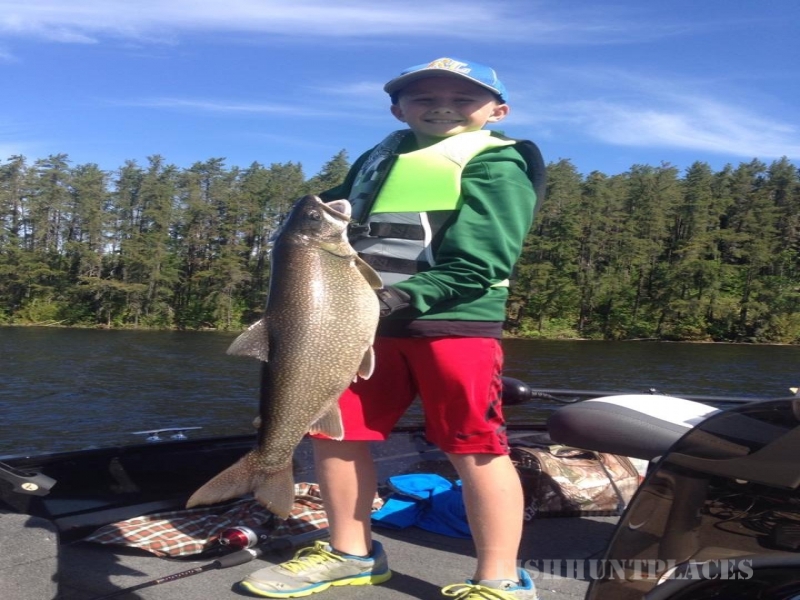 Nearby is 8 mile long Northwind Lake where Walleye in the 6 to 8 lb. range are common. Walk a short distance into Ida Lake accessible only from our resort and enjoy the peace and solitude while fishing for 30-40 inch Northerns. Bring your 4-wheelers and access our many outpost lakes where the trophy Northerns are waiting! Lake Nipigon is 62 miles long and 44 miles wide with a recorded depth of 450 feet. Lake trout in the 20 lb. range are quite common with 3 fish over 50 lbs. being recorded in our area in 2004. It is a common belief that a new record(the current being 63.5 lbs. ),Lake Trout will be caught in this lake soon. 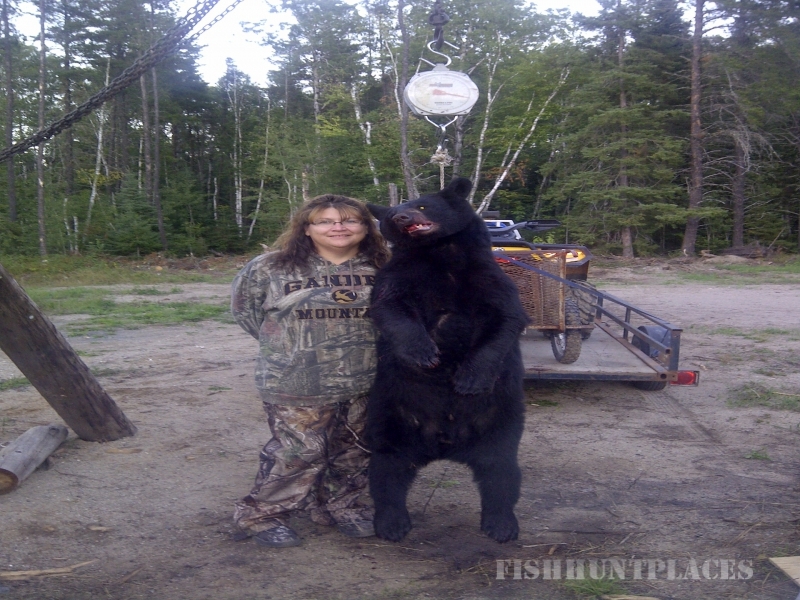 Bear hunts are $ 900.00 plus tax. It includes your tag, lodging, 1 prebaited active site and bait. 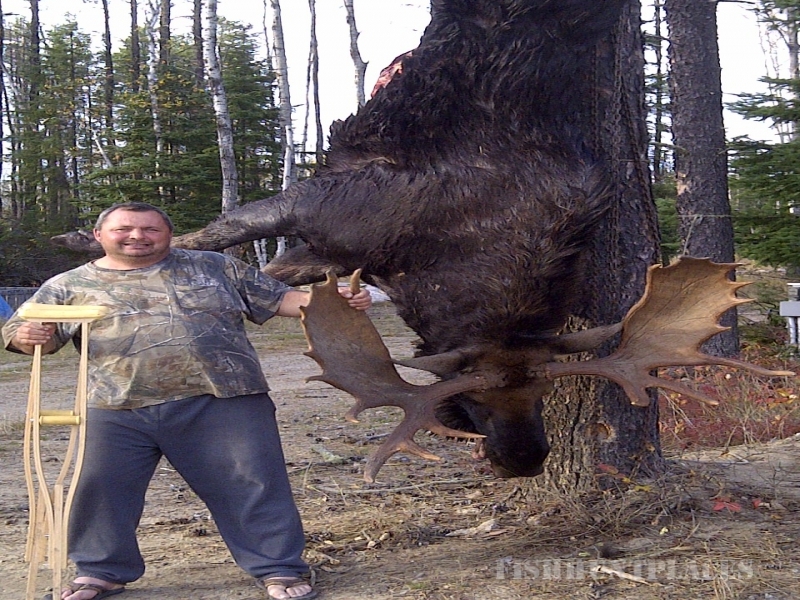 Hunting license, outdoors card and export permit are extra. We now have an even larger bear management area for you to hunt in.